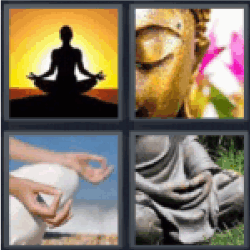 4 Pics 1 Word Woman meditating. Buddha. Meditation statue face. Hands in meditation. Meditation statue.